In our home when the bananas have turned a little too brown to eat, instead of throwing them out, as I have done many times over the years, we now cut them up and put in the freezer for our protein shakes. I noticed the other day that all the bananas I purchased the week before were still sitting in a bowl, turning brown. It was time to cut up and put in the freezer. We had two large freezer bags full already. So I decided to use them to make some banana bread. I ran across a recipe for a banana cake first and it looked so tasty and the frosting looked as though it would just melt in your mouth. I knew I could make this taste as good as it looked in the pictures. Here is my attempt at the cake. 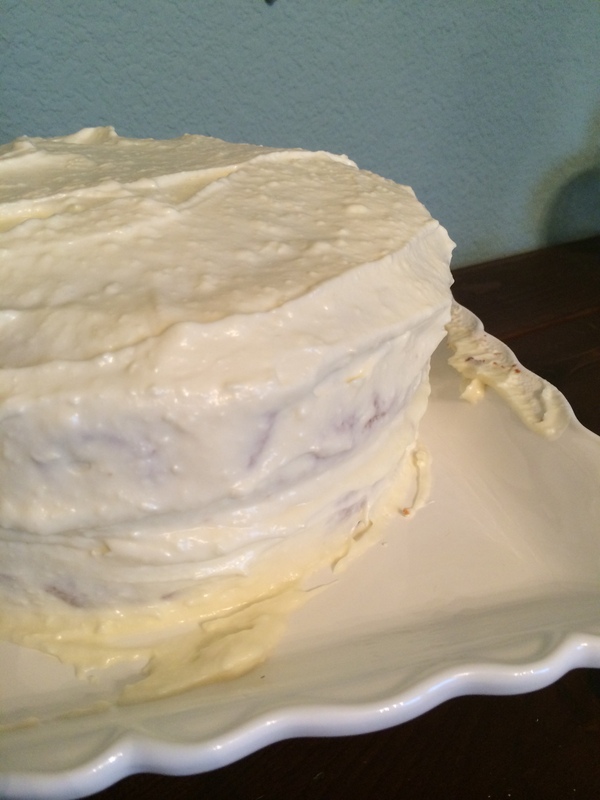 While the cake was very moist and full of flavor, the frosting did not quite “melt in your mouth”. The frosting did taste great, it just didn’t quite look like the one I found online. It was gone in two days though, so it was not a total failure! My daughter, Hannah, had asked if some of her friends from College Station could stay at our house as they were in town for the weekend. We were delighted to have them stay and I wanted to have a little snack for them when they arrived. 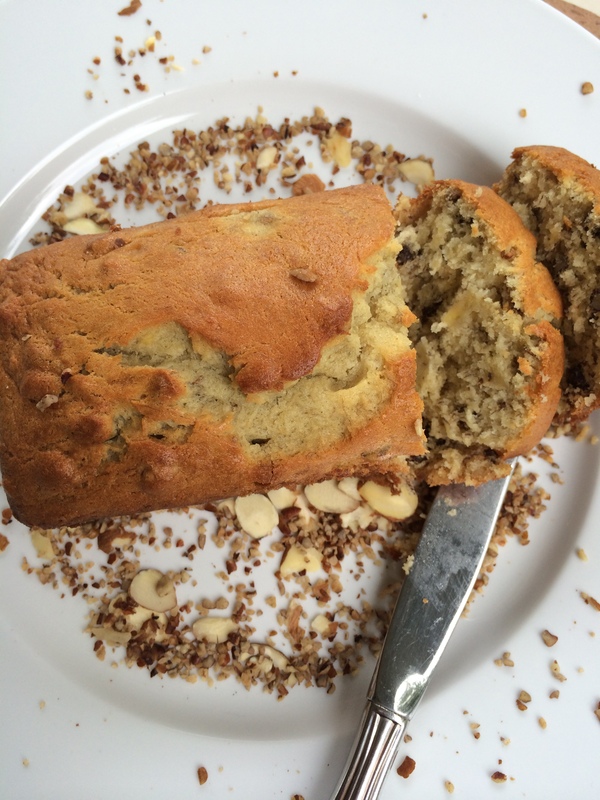 Since my family devoured the cake earlier, I looked for a simple banana nut bread recipe. I found one in my recipe box, it looked easy enough, I had all the ingredients and this would be something easy for our guests to grab on the go. 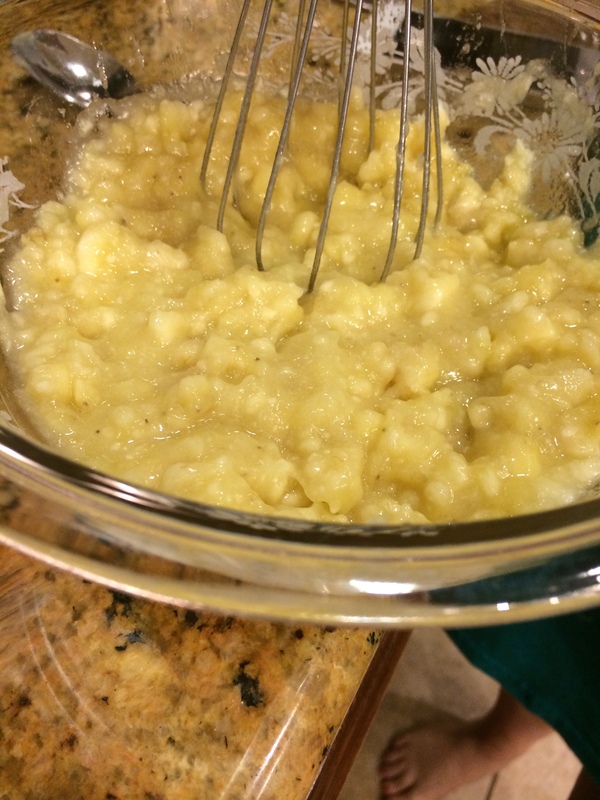 The recipe is actually from Amy Pruitt, a friend I have not seen in many years. She gave it to me almost 15 years ago. Thanks Amy! My guests loved it! « When Life Gives you Lemons…. I think it looks great! I love banana cake!!! !